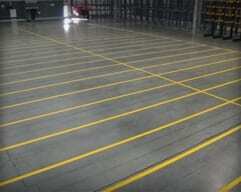 Warehouse and distribution center yard line striping is the most effective method of introducing organization to a busy and dangerous environment. DC yard areas experience anything from 30 to 150+ semi trailer trucks per day, all maneuvering, in a confined area. A well organized yard makes it easier to navigate and presents passageways for workers to negotiate more safely. 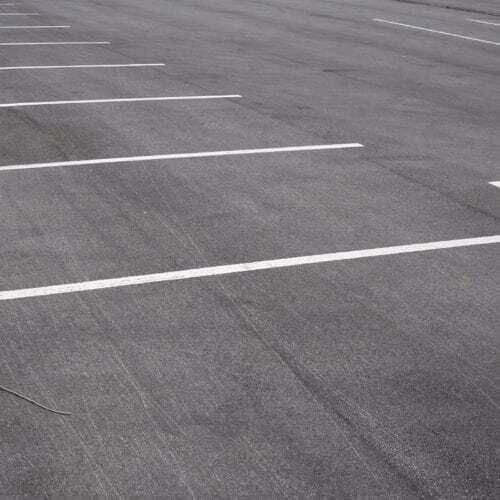 Trailer parking lines are the most common yard line marking ASG Services installs. 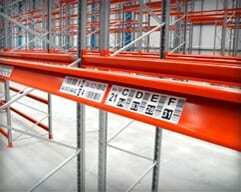 These are used as guidance lines and form an organized structure to parking, making vehicle and trailer management easier for the facility operators. A yard with trailers positioned in line and in designed areas, helps improve visibility across the whole yard space. Along with yard marking, customers also request number and letter stenciling to be added to the ends of lanes. 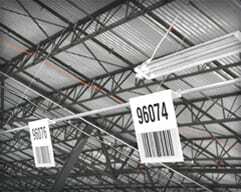 These are used to identify where to place a trailer and which to collect for loading. 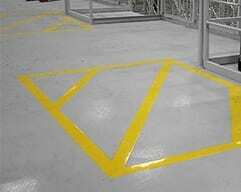 Floor stencils are also used for directional information and to help identify areas for pallet storage, danger areas, etc. Yard line marking is also useful for dock bay loading lanes. These are equally beneficial as trainer parking lanes, in addition they offer a guideline for reversing, helping the driver position the trailer square with the dock, which is essential for loading dock safety. With safety improvements throughout the warehouse and distribution industries, walkways and passageways are a popular addition to all yard marking projects, they are usually formed by simple tramlines often with pedestrian stencils to show it is a personnel walkway. We aim to provide every customer with a high level of service. 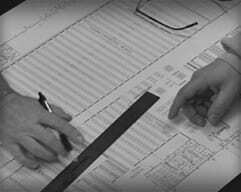 ASG Services project management teams work closely with customers, finding detailed information needed to plan an installation to help reduce impact on the operation, without delaying the pace of installation. Yard line marking is highly effected by weather conditions, so having a management team who can arrange, rearrange and communicate with the customer’s best interests first, makes ASG Services a unique partner. Our installation teams are fully trained with all specialist machinery and are insured to work on all customer sites throughout the US and beyond. They are well versed in understanding the customer needs and expectations and are always updating the project teams with any significant changes to the plan. Their attention to detail is an advantage above others for an accurate installation of yard line striping. We're here to help and to answer the questions which are slowing you down, call (877) 447-9798. The more information we have, the better we can respond to help with your project, send all you can.